The working girls of Mad Men. If you’ve been watching the Pakistani news over the past few weeks, then you also heard that very statement uttered by police officers and Sharmila Farooqi (see Sana Saleem’s brilliant open letter here), after a young woman in Karachi was gang raped. Rather than siding with the victim and protecting her privacy, Farooqi revealed her identity and proceeded to malign her character based on irrelevant details, causing the girl to withdraw the case. Such attitudes are infuriating and ignorant, and further perpetuate the cycle of gender-based violence and discrimination. In television shows like Mad Men, set in an advertising agency in the 1960s, the evolution of women in the work place in the U.S. is continuously illustrated and is a reminder of how universal these issues are. In Pakistan, as Ellick noted, employers are reluctant to hire this growing generation of lower class women because of the subsequent investment, though supermarket chain Makro currently spends $8000/month on offering free transit services for its female workers, “to protect them from harassment and to help persuade them take jobs where they may face hostility.” As a result, Makro’s female employment has quadrupled since 2006. Other employers are reluctant to hire women because of the high turnover rate, particularly given the expectation that many stop working after they get married. Again, a familiar scenario, not that different to the evolution of workplaces in the West or even among women working in higher-end jobs in Pakistan (though obviously the cultural and religious nuances add more layers to this situation). It is a constant struggle and debate about entrenched gender roles and how, as women become more economically empowered, the status quo begins to shift. Therefore, it is important to note the intrinsic link between economics and feminism (via empowerment). Zeenat Hisam, a senior researcher at the Pakistan Institute of Labor Education and Research told the NY Times, “We’re a society in transition. Men in Pakistan haven’t changed, and they’re not changing as fast as our women. Men want to keep their power in their hand.” The question of course remains, is how to reconcile these differences in order to preserve such modes of empowerment without endangering these women’s safety – at home and in the work place. The persecution and targeting of religious and sectarian minorities has occurred throughout Pakistan’s history, but a number of attacks in 2010 highlight a qualitative shift in this trend. The scale, location, tactics, and claims of responsibility for attacks on minority religious institutions have changed dramatically between last year and this one, showing that Pakistan’s minorities are an increasing target of the region’s extremist groups. On May 28, 80 people were killed and over 90 injured in coordinated attacks on two Ahmadi mosques in Lahore. 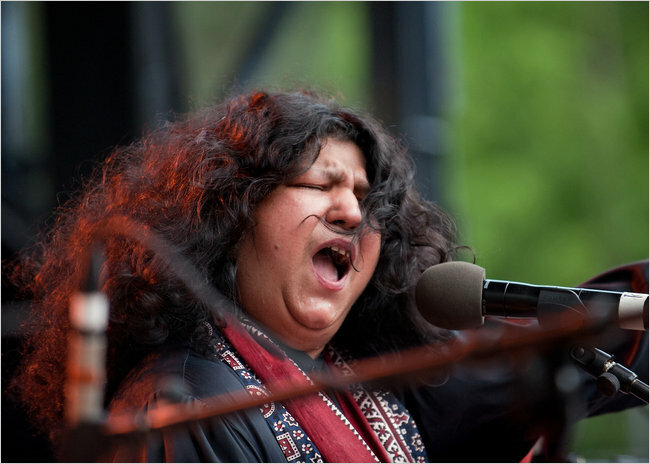 On July 2, two suicide bombers attacked a Sufi shrine in Lahore, killing at least 50 and wounding more than 170. Three bombs targeted a Shiite religious procession in Lahore on September 1 during the month of Ramazan, killing at least 35 and injuring around 250. 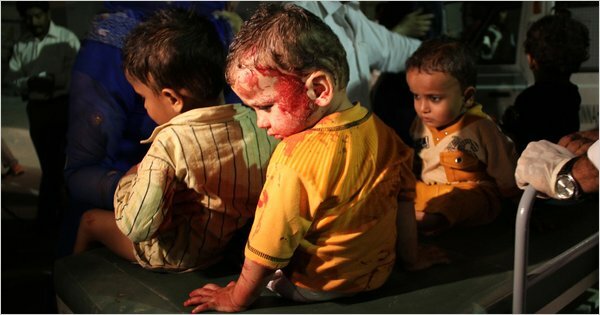 On October 25, two suicide bombers killed eight people and wounded over 60 in an attack on a Sufi shrine in Karachi. According to numbers based on calculations from the U.S. National Counterterrorism Center, news reports, and other sources, there were 25 attacks on mosques in 2009, and 11 of those incidents targeted sectarian minority mosques and institutions. In comparison, there were 19 attacks in 2010, with 10 targeting minority religious institutions. Although the number of recorded attacks against minorities seems not to have changed much between 2009 and 2010, other key factors changed significantly. In 2010, attacks on minority religious institutions were for the most part large-scale, resulting in significantly higher death tolls than those in 2009. For instance, the average number of people killed in minority-related mosque attacks in 2009 was three. In 2010, the number ballooned to 18 (the average number wounded was 24 in 2009 and 61 in 2010). Many of these 2010 attacks occurred in Pakistan’s major cities, such as the Sufi shrine bombing in Karachi and the Ahmadi mosque attacks in Lahore. In 2009, comparatively, such attacks were mostly concentrated in the country’s northern areas, including the tribal areas and smaller towns in Khyber-Pakhtunkhwa. The type of attacks also shifted between 2009 and 2010. Last year, militants used mainly IEDs (improvised explosive devices), VBIEDs (vehicle-borne improvised explosive devices), and grenades in their attacks on minority religious institutions; in 2010, on the other hand, suicide attacks were more common, a reason for the larger death tolls. Finally, there was a shift in groups claiming responsibility. While there was no claim of responsibility for many of the attacks in 2009, Tehrik-i-Taliban Pakistan (TTP) claimed more attacks this year, including the bombings of the Sufi shrine in Karachi and the Ahmadi mosques in Lahore (though TTP spokesmen denied they were behind the Sufi shrine attack in Lahore in July). But the TTP, despite what it claims, may not be behind all these attacks. Instead, groups belonging to the Punjabi Taliban, with more reach into Pakistan’s urban centers, could be working with the militant umbrella organization to carry out these attacks. By claiming responsibility, the TTP is in effect perpetuating the perception that there is one centralized larger enemy rather than a more manageable cluster of nameless militants operating independently. The increasing number of large-scale suicide attacks occurring in Pakistan’s major cities, not just in the northwestern areas, is also important in the perceptions war because these incidents garner more media attention and exacerbate the notion that the threat is close by, stoking greater instability and fear in the country. The shift in the nature of these attacks on minority religious institutions also mirrors increasingly heightened anti-minority sentiment in the country. Religious and sectarian minorities have long been marginalized, targeted, and persecuted throughout Pakistan’s history, though the introduction of the blasphemy laws in the 1980s added further legitimacy to this intolerance. Among the most recent victims of these laws is Aasia Bibi, who recently became the first Christian woman to be sentenced to death because of a conviction under the blasphemy laws, and whose story has sparked polarizing reactions from human rights groups to religious organizations. Don’t Jealous of My Uth-Oye! Whohoo! The second line of Uth-Oye!, “a socially conscious, cause-based design initiative,” is now out. Last year, the graphic t-shirts were both unique and spunky, displaying choice catchphrases like, “Don’t Jealous,” and images of flying auto rickshaws, bleeding gas pumps, and a King of Spades armed with a muchie and an AK-47. This year, the initiative has produced more t-shirts, as well as jeans, hoodies, and handbags, all with equally spunky messaging and imagery. When the Uth Oye! team approached us, we 1) couldn’t pass up an opportunity to work with a socially-minded and awesome t-shirt designer and 2) saw it as an opportunity to get the message out there about innovative solutions for environmental sustainability that are happening right here in Pakistan. The nine-month pilot, which provided lamps to Oan village, an area with little to no access to electricity, was such a success that the Uth-Oye/CGI-U/PSN collaboration is now deploying a second phase, installing more lamps in this area. In another partnership with the Association for the Development of Pakistan (ADP), the initiative helped fund and build “15 natural bio-gas generators that generate usable gas by fermenting common waste items (Manure, Human Waste and Sewage)” in Soon Valley, an area with a significant need for alternative sources of gas and fuel. As someone who works with similar types of initiatives in my day job, I was not only impressed with the causes endorsed by this design initiative, but also how Uth-Oye made those same projects digestible for the average person, someone not used to the avalanche of obnoxious buzzwords so common in this industry. Case in point, underneath each cause’s description is a “Summary for the Lazy,” brief bullet points that break down 1) the situation 2) the need 3) the solution. For those of you who needed a Summary for the Lazy for this post, Uth-Oye: Smart Branding + Cool Design + Innovative Causes = Apparel with an Impact. Uth-Oye! clothing and accessories available in stores in Karachi and Lahore starting December 25. Online orders and [international] shipping available on the website. Join the Facebook page for more daily updates. Last week, the first ever TEDWomen was held in Washington, D.C., bringing together men and women thought leaders to explore the question – How are women and girls reshaping the future? The two-day conference featured over 70 speakers that cut across disciplines and generations, from former Secretary of State Madeline Albright to Ugandan “bean breeder” Annet Namayanja to social entrepreneur Sejal Hathi. A renowned human rights activist, Asma Jehangir recently became the first female president of Pakistan’s Supreme Court Bar Association (SCBA). 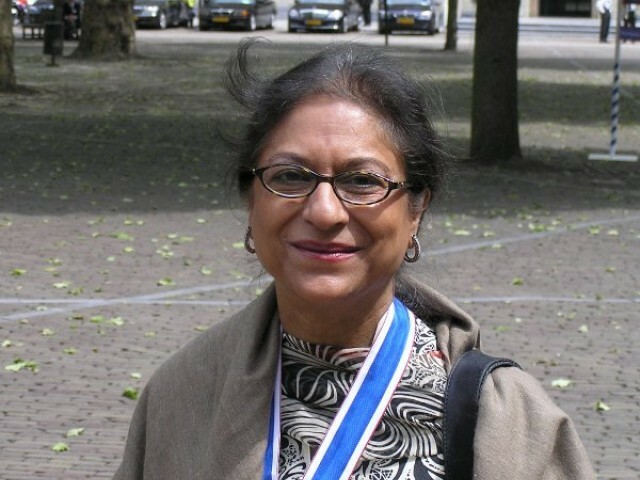 Following her victory, Jehangir told reporters that the bar would not allow anyone to achieve vested interests in the name of the rule of law, noting, “All institutions should work within their constitutional limits.” The Chairperson of the Human Rights Commission of Pakistan, Jehangir also established the first law firm for women in Pakistan in 1980 (with her sister Hina Jilani) as well as the Women’s Action Forum, a group that campaigned against legislation that discriminated against women (like the Hudood Ordinance). Toor, who is from South Waziristan, is currently Pakistan’s number one ranked squash player (72nd in the world). As a young girl living in FATA, she would chop her hair in order to disguise herself and play sports with the boys. According to both CNN and Express, Toor’s father soon recognized that his daughter had talent, and moved his family to Peshawar where she could train and play more freely. His sacrifice, noted CNN early this year, “made her success possible.” Toor noted, “I think I have a great father — so broad-minded.” (And while we’re talking about Toor, let’s also make a big honorable mention to the Pakistani women’s cricket team, who won a gold medal at the recent Asian Games). Roshaneh Zafar is the founder and managing director of Kashf Foundation, Pakistan’s first microfinance institution. The organization, which was established in 1996, now has 152 branches nationwide and has supported 305,938 families in Pakistan. In an interview with Zafar this past May, she told me, “Overall all, we have seen a successful ramping up of our program and since 1996 have disbursed loans to 1 million entrepreneurs across the country and provided US$225 million in working capital. We have also seen that over 60% of our clients invest in new businesses, which has a multiplier effect on the local economy.” Zafar recently received the 2010 Vital Voices Economic Empowerment Award for her work with Kashf. I’ve written extensively on this blog about the issue of honor crimes and killings in Pakistan. In Honor: A History, author James Bowman cited the NY Times’ Nicolas Kristoff, who said, “On average, a woman is raped every two hours in Pakistan, and two women a day die in honor killings.” While it is difficult to corroborate these numbers, we do know that there are many faceless victims of honor in Pakistan. Mukhtar Mai, a woman who was gang-raped on the order of her village’s tribal council, was one of the few who chose to speak out. Today, Mai, who was Glamour Magazine’s 2005 Woman of the Year, has an organization that supports victims of karo kari – the Mukhtar Mai Women Welfare Organization (MMWWO). I know what you’re thinking – Twitter, ugh. But I have honestly met and conversed with some of the most awe-spiring women (and men for that matter) on that online platform. These women – including incredible journalists Naheed Mustafa, Azmat Zahra, Naveen Naqvi, Beena Sarwar, Mehmal Sarfraz, Saba Imtiaz, and Huma Imtiaz, as well as witty bloggettes Sana Saleem, Tazeen Javed, Mehreen Kasana, and Rabayl Memon are constantly challenging norms, introducing nuance, and igniting debate about issues that often fall to the wayside. Twitter = sisterhood? Who knew? There are obviously many women I have inadvertently missed or forgotten, so you tell me – who are your role models? On Twitter, @majorlyprofound makes a point about the Valiyani case. Another day, another arbitrarily imposed blasphemy case. The police, far be it from actually thinking rationally about this whole incident, registered the case under the Blasphemy Act. And no, before you ask, they didn’t praise the doctor for not littering. This development further illustrates exactly what we’ve been discussing for months – that unless these blasphemy laws are challenged, intolerance under the guise of the law will continue to reign supreme in Pakistan. It means that every man named Muhammad (which by the way, was “the most common given name in the world” according to Columbia Encyclopedia in 2000) can cry wolf and the law will cater to the person pointing the finger rather than the falsely accused. It means that the cacophony of the mob will always ring louder than the voice of sanity. And it means that there will be many more Aasia Bibi’s and Naushad Valiyani’s to come. …the blasphemy laws form a part of a larger pattern in which the subjugation of legislation to political expediency has subverted the processes of justice in Pakistan…the blasphemy laws…are not the product of a pluralistic and participatory democratic discourse. Instead, they are essentially the legislative interventions of a military dictator who adopted a theocratic rhetoric and agenda for clearly self-serving motivations. Therefore, the authors note, the very genesis and foundation of the laws were “highly tainted.” In fact, an interesting difference between the original sections of Chapter 15 in the Indian Penal Code and the blasphemy laws is “the elimination of any requirement of intent.” According to Siddique and Hayat, “The 1860 and 1927 versions of the Indian Penal Code greatly emphasize the intention of the accused.” In section 295, for instance, it stated, “with the intention of thereby insulting the religion of any class of persons or with the knowledge that any class of persons is likely to consider such destruction, damage or defilement as an insult to their religion.” Proving the intent of the accused (that it was deliberate and premeditated) was therefore a prerequisite in making the defendant liable for conviction. Not so in the case of the blasphemy laws, where there is no mention of the defendant’s intent. This has of course had tremendous ramifications for the law and its arbitrary application, which has been further compounded by the legislation’s lack of specificity, “making their ambit virtually limitless,” noted Siddique and Hayat. The authors also noted the deficiencies of the lower courts in Pakistan, which first take up the blasphemy-registered cases, and are “historically under-funded, under-trained, and over-burdened with work.” In fact, both the provincial and federal governments allocate less than 1% of their budgets to Pakistan’s judiciary, meaning that, all together, justice continues to be under-prioritized in Pakistan. Even if these laws aren’t completely appealed (and given how often the government caves to the religious right, their complete appeal seems unlikely in the immediate future), Siddique and Hayat note that by addressing the fundamental design and draft of these laws we can at least begin to tackle their current misuse and exploitation. The issue, as a whole, leaves me hollow. But this incredible spoken word set by Mary Kay, entitled “Hands” echoes my sentiment completely, particularly when she says: Each country sees their fists as warriors/And others as enemies/Even if fists alone are only hands…Hands are not about politics/When did it become so complicated/I always thought it simple. [For a great related piece, see Cafe Pyala’s Open Letter to the Chief Justice].